Having read their glowing reports, I was of course interested to try this brand. But given that this is a US based brand, high shipping fees were a concern. 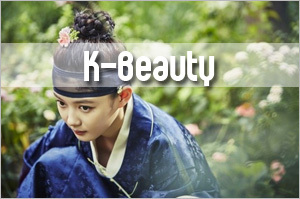 That plus the distractions with K-beauty products. So I never got down to ordering any of their stuff. But I’ve just learned about a month ago that the brand is now available in Singapore. Pure Tincture has brought in the brand and it is now available at their online store. 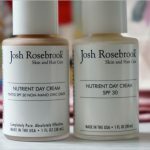 And the first thing I arranged with Pure Tincture was to try the Josh Rosebrook Nutrient Day Cream SPF 30 and Nutrient Day Cream Tinted SPF 30. 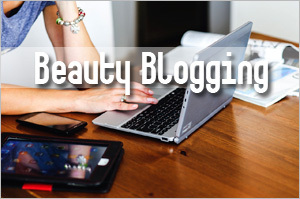 These are products I’ve long wanted to get my hands on because every single green beauty blogger had good things to say about them. Before I share my thoughts on them, let me give you a rundown on Josh Rosebrook and what this brand represents. Josh Rosebrook is the name of the founder. This guy must have a natural gift for hairstyling for he was cutting and styling hair as young as 10 years old! Wow, a prodigy! 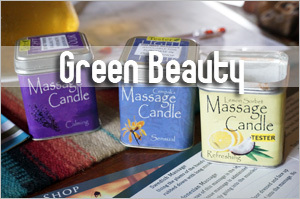 What he created was a line of all-natural and organic beauty products made with botanical extracts and active ingredients. All plant ingredients in their skin and hair care products are said to be 100 percent organic, certified organic or wild-crafted. In addition, all their certified organic herbal infusions and extracts are made in-house at their own production facility and not purchased from a supplier. 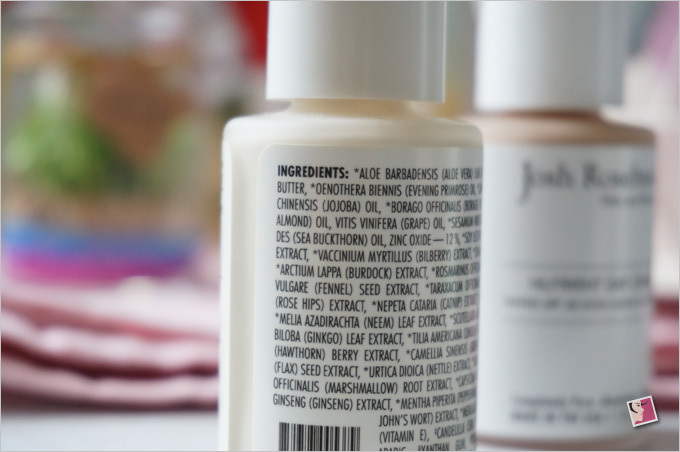 Josh Rosebrook’s products do not contain parabens, sulfates, silicones, petrochemicals, GMOs, synthetic fragrances, and artificial colors. Instead of parabens, the brand uses a low amount of naturally occurring, food grade potassium sorbate to prolong shelf life. Josh Rosebrook is also against animal testing. Given the name of the product, I’m sure you know that this is a sun protection cream. Now all the reviews I’ve read pointed to an excellent product. So how did it fare for me? But I have my reservations to use this as a daily sunscreen in our crazily-hot tropical weather. Why? This product only comes with 12 percent non nano micronized zinc oxide. That’s too low for good protection if this SPF table is anything to believe in.Â I really prefer my mineral sunscreens to come with at least 16 percent zinc oxide. Actually 20 percent is the best. 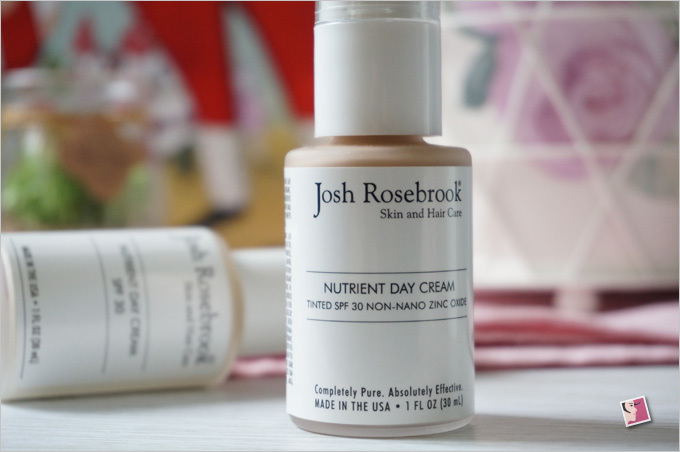 Granted, Josh Rosebrook Nutrient Day Cream SPF30 contains some plant oils that provide some measure of SPF but as far as I’m concerned, I’ll only use this when I’m indoors all day long and not going out at all. With the high UV index in Singapore, the brand needs to up the percentage of zinc oxide to make this a viable sunscreen that’ll give me better peace of mind. Perhaps this product works better in countries with temperate climates or during seasons where the sun rays are less oppressive. Or for those who want to use this to protect against indoor UV. As a moisturizer, I’ll say it’s a fairly good one because the ingredients are clearly superior (see ingredient list below). 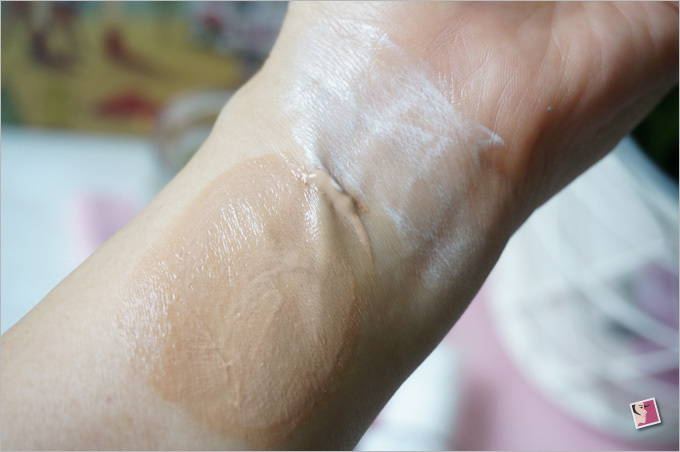 The cream applies well and plays nicely with my other products and makeup. 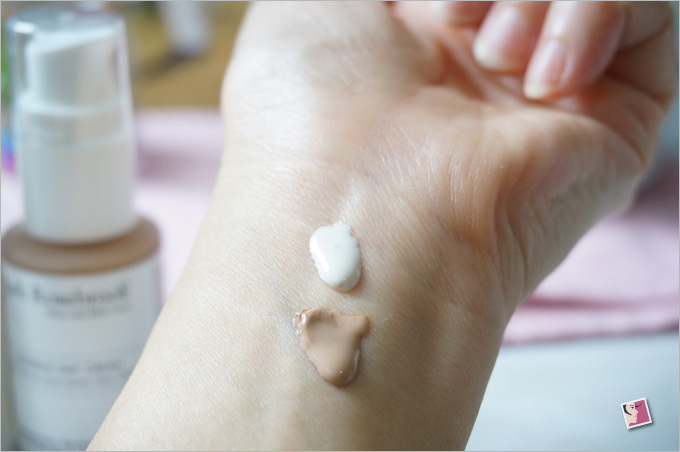 But between the Nutrient Day Cream SPF30 and Nutrient Day Cream Tinted SPF 30, I prefer the tinted version over the non-tinted one even though the non-tinted does not leave any whitecast on my fair skin. 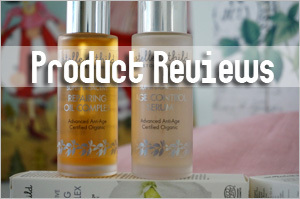 Another thing to highlight is that this product works best when your skin is properly hydrated. That way, you won’t feel your skin drying out or going into an overdrive mode to secrete more oil to compensate the dryness. I guess that’s why it is recommended to be used with their Hydrating Accelerator. *Aloe Vera Leaf Juice, *Shea Butter, *Evening Primrose Oil, *Hemp Seed Oil, *Jojoba Oil, *Borage Seed Oil, *Almond Oil, Grape Seed Oil, *Sesame Oil, *Sea Buckthorn Oil, Uncoated Non Nano Micronized Zinc Oxide -12%, *Soy Lecithin, *Calendula, *Bilberry, *Chamomile, *Burdock, *Rosemary, *Fennel, *Dandelion, *Rose Hips, *Catnip, *Chickweed, *Neem, *Skullcap, *Ginkgo Leaf, *Linden Flower, *Hawthorn Berry, *Green Tea, *Flax, *Nettle, *Sage, *Marshmallow Root, *Cayenne, *Ginseng, *Peppermint, *St. Johnâ€™s Wort, *Alfalfa, *Vitamin E, â€¡Candelilla Wax, *Guar Gum, *Gum Arabic, Xanthan Gum, Potassium Sorbate, *Benzoin Resin. 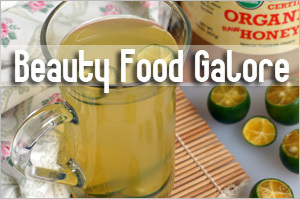 *Aloe Vera Leaf Juice, *Shea Butter, *Evening Primrose Oil, *Hemp Seed Oil, *Jojoba Oil, *Borage Seed Oil, *Almond Oil, Grape Seed Oil, *Sesame Oil, *Sea Buckthorn oil, Uncoated Non Nano Micronized Zinc Oxide -12%, *Soy Lecithin, *Calendula, *Bilberry, *Chamomile, *Burdock, *Rosemary, *Fennel, *Dandelion, *Rose Hips, *Catnip, *Chickweed, *Neem Leaf, *Skullcap, *Ginkgo Leaf, *Linden Flower, *Hawthorn Berry, *Green Tea, *Flax, *Nettle, *Sage, *Marshmallow Root, *Cayenne, *Ginseng, *Peppermint, *St. Johnâ€™s Wort, *Alfalfa, *Vitamin E, â€¡Candelilla Wax, *Guar Gum, *Gum Arabic, Â§Xanthan Gum, Potassium Sorbate, Mica, *Benzoin Resin. 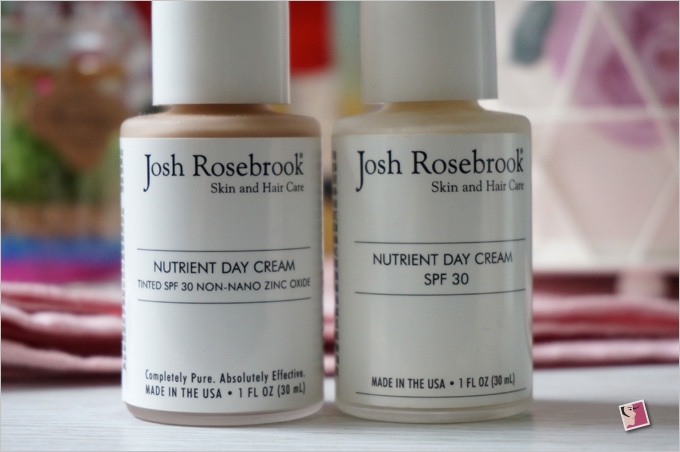 The price of Josh Rosebrook Nutrient Day Cream SPF30 (30ml) and Josh Rosebrook Nutrient Day Cream Tinted SPF30 (30ml) is S$82 each at Pure TinctureÂ for those in Singapore. If you’re in the US, you can get direct from Josh Rosebrook at US$50 each. I can’t recommend this product as a sunscreen with the sun glaring directly over our heads here but if you’re mostly indoor and need a good product that moisturizes and provides some level of sun protection, this should more than suffice. Also, I wouldn’t worry so much about the percentage of zinc oxide in your sunscreen. It’s making sure that your sunscreen’s active ingredients are broad spectrum and give broad UVA protection and stability ( exactly like zinc oxide) that is more important than the actual percentage. You can have much lower levels of zinc oxide in your sunscreen than 16% and still have decent UVA protection. 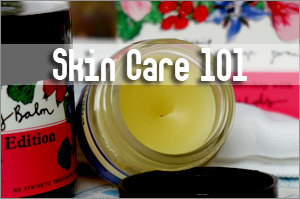 Example: like In Coola’s mineral spf 30 face sunscreens,and Bare Republic’s one’s. They both have Titanium Dioxide- 3.2%, Zinc Oxide- 1.7% concentration and score from Environmental Working Group’s Sunscreen Guide ” MODERATE UVA protection and a MODERATE balance of UVA protection in relation to the SPF. (excerpt from the guide)” I think ya would like those two ’cause they’re pretty natural in most of all their ingredients. Besides, doesn’t most mineral sunscreens have a lot higher concentrations than that? A lot of how high the UVA protection also depends on the particle size, too! Like,for an example, I’ve seen sunscreen with 16% zinc oxide compared to another one with 16% zinc oxide, and one will score better for protection. 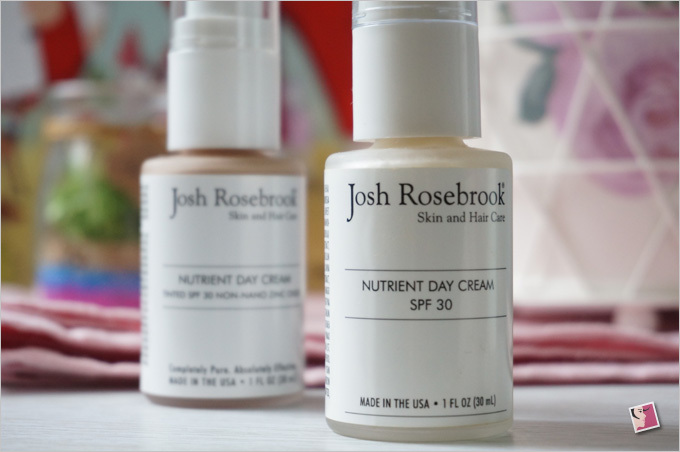 Unless you’re swimming,I would think ya would be fine with Josh Rosebrook Nutrient Day Cream SPF30,’cause chances are it’s not water-resistant. Recently they just came out with their 2016 top sunscreen products,so their opinion on some (like on Coola ) may have changed, but in 2015 they said the Coola spf 30 mineral sunscreens were good. that states 10 – 20% of zinc oxide is ideal and obviously, the higher the percentage, the better the coverage. I’ve experienced the difference between a sunscreen with low percentage of zinc oxide and one with higher concentration and the performance is telling. I’ll definitely go for one with higher percentage anytime. Anyway, the one I use daily from Marie Veronique has 20% and I’ve been using for years without issues. I also trust Badger’s. They use micronized or non-nano zinc oxide. I don’t know where you’re based but here, the weather is blistering hot every single day. We need maximum protection and hence, I wouldn’t recommend this as the best option if one is planning to buy it for sun protection (it is positioned as a sunscreen). At the price, I really expect more. If I can get a moisturizer with SPF that comes with higher zinc oxide percentage, why would I pay for this? I need to be honest with my readers and not recommend something just because everyone else is going gaga over. Also, if we can’t get the stipulated SPF even with a higher concentration for reasons you’ve pointed to through the article, then wouldn’t one with a lower concentration be worse? And I never look at EWG’s guide for sun protection recommendation. I don’t even understand what moderate means. The thing with UVA damage is you can’t tell until much later. By then, using a sunscreen that provides moderate protection might be a mistake you can’t reverse. Oh, I also need to add that I’m Asian and being Asian, our skin is more prone to pigmentation and we need all the protection we can get. Totally understand where you’re coming from. I totally lean toward the high concentrations of sunscreen myself. I just was confused as to why you were discounting this sunscreen as providing not very good protection when it has 12% non-nano zinc oxide,which I have to say is quite a decent amount, and since of that, it protects from the whole UVA and UVB spectrum of rays. Like alot of mineral sunscreens I’ve seen,like from the department store have less than that and often times will rely partly for protection on titanium dioxide which isn’t as broad spectrum. Also, I think people should give zinc oxide more slack considering avobenzone and mexoral both have a concentration limit of 3%. From looking and comparing mineral and chemical sunscreens on EWG 3% of those concentrations usually are equal to less than 12% of zinc oxide or 1/2 that and half titanium dioxide for UVA protection (12% total of mineral 50/50).Again, a lot has to do with particle size.Also, you should take into consideration that it’s harder to make a comfortable sunscreen with higher concentrations of mineral, so from a sunscreen with higher mineral concentration might not provide you with better spf protection than one with a lower concentration if you don’t wear the proper amount,which is more likely if the sunscreen is particularly thick or white. That’s pretty bad considering that you need a 1/4 tsp for your face and putting half that only gives you the equivalent of the square root ‘s worth of the spf number on the label! So what it all boils down to what is a good sunscreen is one that provides solid UVA protection and stability,what you’ll wear and the proper amount of at that. A 20% zinc oxide sunscreen isn’t going to give you good protection next to a 12% sunscreen if the 20% one you only put 1/3 the amount you actually need on next to if you follow the directions with the latter. The ratings on EWG for the sunscreens mean how “safe” the sunscreens are and the others mean how well it protects from UVA and the second part after rating it rates how well the UVA rates in relation to the spf. Example: # X? 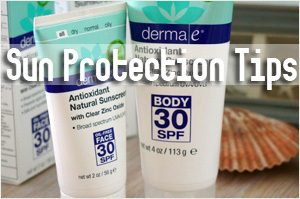 sunscreen rates for “excellent protection” and “good UVA protection” in relation to the spf. The 14% to 20% mineral concentration do tend to rate the highest so I do prefer them like you. I wouldn’t buy the Coola mineral sunscreen anyways.It’s pricey and it did rate just okay last year but now EWG raised concerns about it’s possibility of not providing adequate UVA protection this year due to very low mineral concentrations, and since most people don’t apply enough sunscreen anyway they’ll have like not much UVA protection most likely at all, especially due to the low mineral concentration. I was just using it as an example but now I take that back. Since you really like your sunscreens with extremely high concentrations of zinc I think you’ll like these sunscreens: Mambino Organics – Organic SPF 30 Face Natural Mineral Sunscreen – 2 oz. It’s NON-NANO and has a whopping 24.8% of zinc oxide for $16 and you can get it at Lucky Vitamin and Iherb. 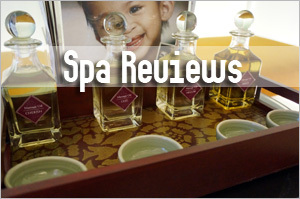 Also Raw Elements – Tinted Facial Moisturizer 30 SPF – 1.8 oz for $14. It has 23% zinc oxide and is NON-NANO. You should also check out Sunumbra sunscreens. Okay thanks, I’ll take a look at those two sunscreens you mentioned. Anyway, the Thinksport SPF50+ has 20% zinc oxide and applies quite well…just slightly thicker than the Josh Rosebrook one. It’s almost perfect and I imagine their daily wear sunscreen might be the same texture as Josh Rosebrook’s. 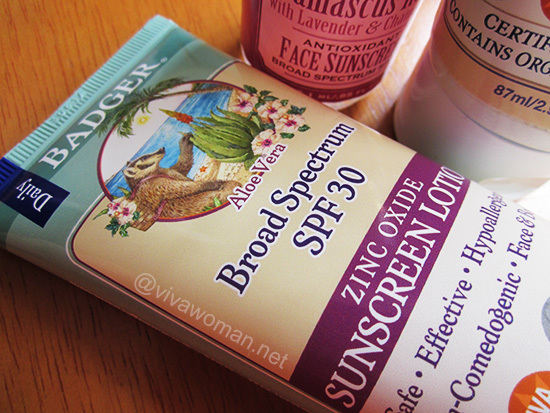 I’ve also tried Badger’s SPF25 Rose Face Sunscreen with 14% zinc oxide. It’s the same texture as Josh Rosebrook. 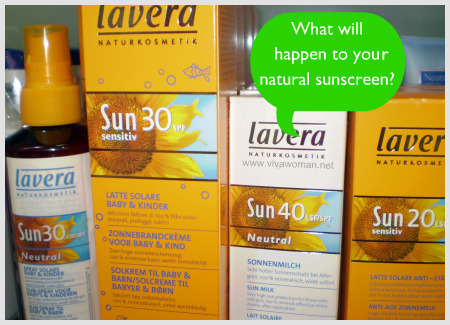 I think many sunscreens with up to 16% zinc oxide (non-nano or micronized) applies well. I agree that few with higher than 16% zinc oxide is easy to wear. 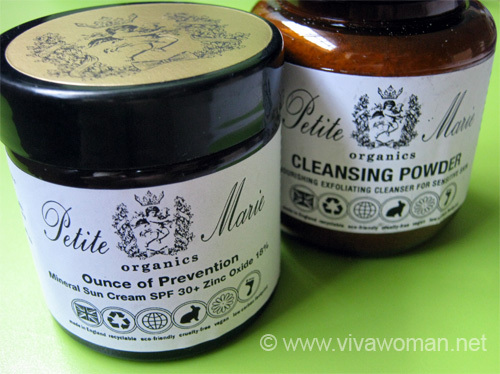 The Marie Veronique Organic one that I’ve been using is one of the few…even then, it must be applied in a certain way or it can turn flaky when used with makeup or other products. Oh, I’m quite impressed with Juice Beauty Stem Cellular CC Cream which contains 20 percent non-nano, micronized zinc oxide. It applies really well and I’m loving it. Your Skin But Better CC Cream with SPF 50+. I got a large sample and I ADORED it,and it’s about the same price as the Juice Beauty one,also mineral. I’ve heard about all the sunscreens you just mentioned and are planning to try the Badger Rose one. May I know where you got Juice Beauty Stem Cellular CC Cream from in Singapore? Bud Cosmetics (Novena Square and Mandarin Gallery). Sorry! typo! I meant “It sounds interesting and Iâ€™ve looked it up before”. This sounds pretty good, but where is the drug panel on the back of the bottle?? 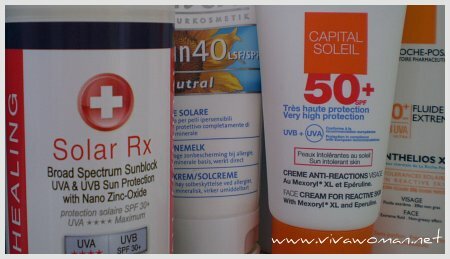 I have tried probably 100s of sunscreens over the years, and there are only a few I could say that I truly like. My favorite is Zinc It Over SPF 25 by Seriouslyfab.com. 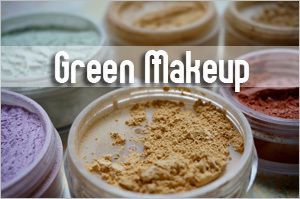 It has no bad chemicals, it’s sheer and you can wear it over makeup. 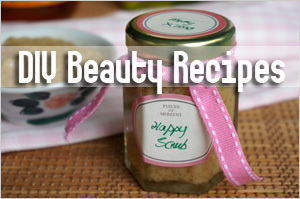 It also has tons of good ingredients like blueberries, pomegranate, pumpkin seed, vitamin e, and aloe vera.